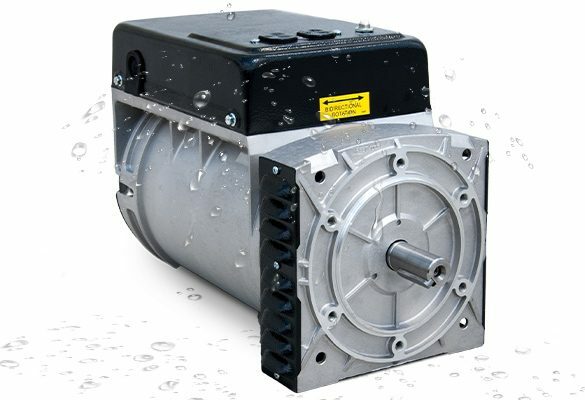 Water Resistant Generators - Wanco Inc. Perfect for pressure washing and other wet applications. Wanco WAB-Series Belt-Drive Generators are designed from the ground up, specifically for wet applications. Reliable and long-lasting, WAB water-resistant generators will do the job now and for years to come. Our brushless design, internal sealants and oversized windings are the perfect platform for these durable, belt-drive generators. Perfect for pressure washers and other wet applications, featuring a brushless design with internal sealants and oversized windings suitable for wet areas.